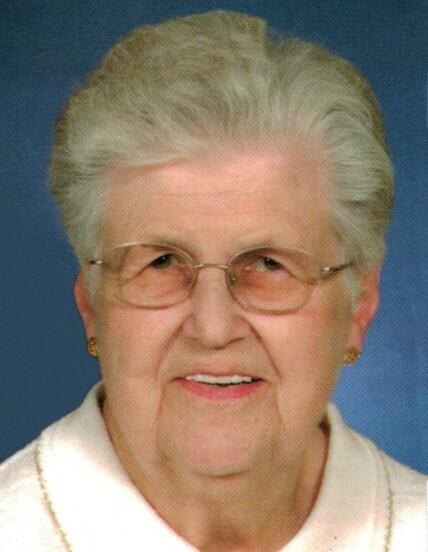 Dolores W. Baker (nee Maune), 85, of Washington, passed away on April 9, 2019. She was born on April 25, 1933, in Washington to the late Frank and wife Margaret (nee Gildehaus) Maune. On April 25, 1951, she was united in marriage to Lowel Baker at St. Francis Borgia Catholic Church. Dolores was a member of the Holy Stitchers, the quilting group at St. John the Baptist “Gildehaus” Church and retired in 1998 from Mercy Hospital in Washington following an over forty-year career. She was fortunate to always have her health and never took a day off work. She was an amazing mother and nurse who loved to help take care of others. A Catholic Rosary will be held on Friday, April 12, 2019, at 3:30 pm followed by a visitation from 4 until 8 p.m. at Nieburg-Vitt, Miller Funeral Home, 1206 Jefferson St., Washington. The funeral Mass will be officiated by Father Tim Foy on Saturday, April 13, at 10:00 a.m. at St. John the Baptist “Gildehaus” Church. The burial will follow at the Church cemetery. Dolores was preceded in death by her parents, Frank and Margaret Maune; husband, Lowel Baker; and four siblings, Bernice Maune, Ralph Maune, Marion Seamon, and Francis Maune. She is survived by her children, Wanda and husband Max Bade, Kenneth Baker, Marvin and wife Sandy Baker, Dan and wife Cindy Baker, Joe and wife Penny Baker, Jeff and wife Christy Baker, and Diane and husband Corey Frick; three siblings, Maurice Maune and wife Shirley, Don Maune and wife Joan, and Linda Hanneken and husband Don; sixteen grandchildren; twenty-three great grandchildren; other relatives; and friends. Memorials are appreciated to Alzheimer’s Association or St. John the Baptist “Gildehaus” Church.